Finnish armed forces ordered 15 Panzer IV Js from Germany in 1944, but they arrived too late to take part in the fighting before the armistice. After the war they were stored and some were used for training. A few are still preserved. Several modellers regard the Revell Panzer H and J kits as their all time favourites, and they really are superb kits. It is obvious that they beat the older Italeri (ESCI) and Hasegawa kits with a margin, although the newer Hasegawa Jagdpanzer variants do have some nice features, too. However as a complete Panzer IV package Revell has the best products. 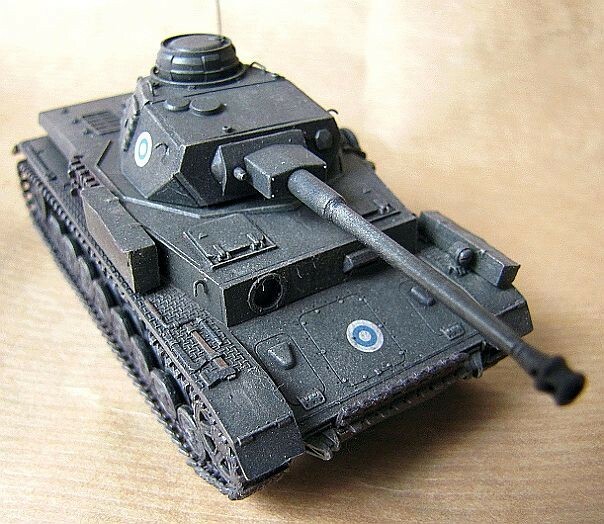 They can also be readily used with several scratch-building projects. Especially the clarity of molding, richness of details and fit of parts are the strengths of these Revell kits. The H and J kits differ very marginally, the H being equipped with schürtzen plates and early exhaust muffler, while the J omits the extra armor plates and features later "flammentoeter" exhausts, later turret side hatches and different spare tracks. 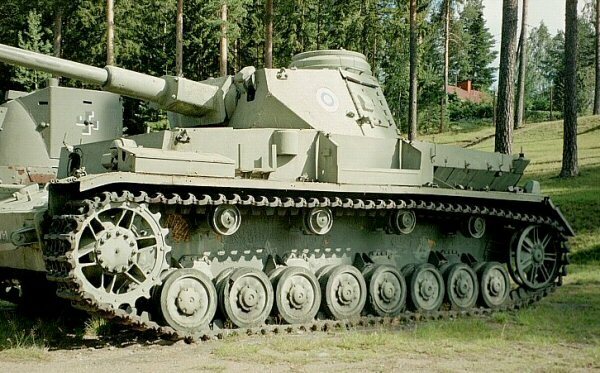 The Finnish panzer IVs were early model Js, which means that they shared some ausf. H features. 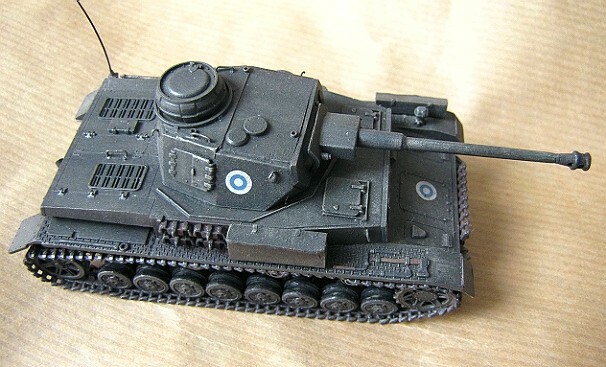 It is easier to start building the Finnish model with a J kit, but in this case a couple H parts are needed. I myself chose to build a post-war variant. Most notable differences between an ausf. H and an ausf. 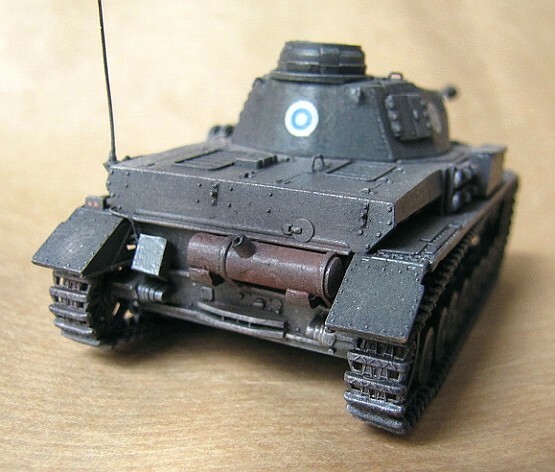 J vehicle are the exhausts, which I scavenged from the Panzer IV H kit by Revell. I also replaced the left turret side hatch with the ausf. H part, as some reference pictures show. Finnish vehicles also lacked the turret bin, which is perhaps the most visible detail in their appearance. So this piece needs to be left out and the locator pin on the turret trimmed off. The Finns stripped down the schürtzen plates almost immediately upon arrival, so basically a Finnish panzer IV model should not carry these. 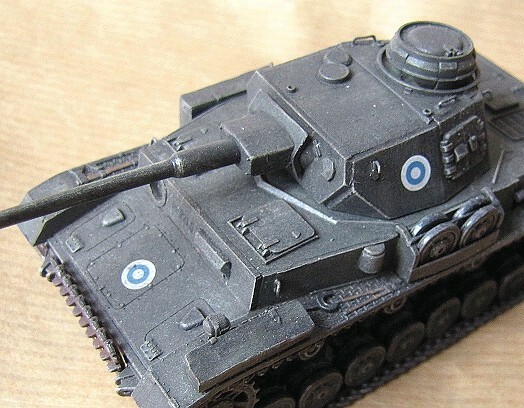 However, there are some photos with vehicles having their turret plates in place, so these may be retained if the very early phase of their use in Finland is depicted. The schürtzen installation holes need to be plugged if the plates and their hangers are not used. The Finns used small rectangular pieces of steel, welded in place. The build of the kit proceeds very promptly according to the instructions, with no misfit problems or other difficulties. The only major concern is the openings on the undersides of the fenders. These should be covered to prevent seeing through. 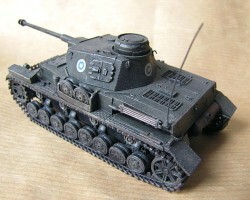 Small additions are needed to detail the kit as a Finnish post-war tank in training service. These include removing both MGs, drilling the radio operators MG mount off and plugging it with a flat plate from the inside. This needs to be done before the hull is put together, of course. I also added two toolboxes made of plastic beam and foil, installed on the fenders, a spare track support on the front, plus a few hooks and handles made of metal wire and an antenna made of stretched sprue. There is also a small square box installed on the rear plate, which I dont recognise, but which I reproduced on the model, anyway. The gun barrel is drilled open, of course. The kit itself is an easy build, although the large amount of wheels makes constructing the lower hull a somewhat tedious sequence. Since the conversions were very easy, too, this proved to be a simple and fast build, altogether. Upon arrival in Finland the panzer IVs were zimmerited and painted in dunkelgelb. Their first appearance in Lapland in the fall of 1944 took place in original colours, only the national insignias were overpainted. Soon after the war the zimmerit was removed and moss green camouflage paint was applied. 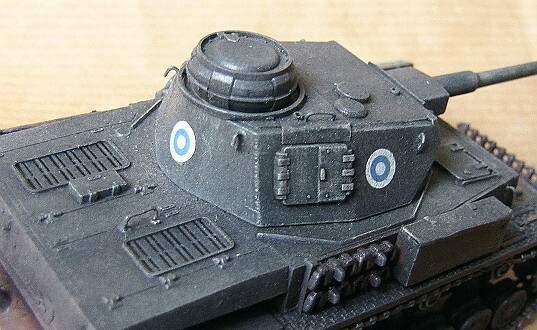 Also the white-blue roundel cockades replaced the "hakaristi" insignia. My model represents a vehicle in the early 1950s configuration; hence it is displayed without the zimmerit and with post-armistice national cockades. The color is Tamiya XF-65 (Field Grey). The national insignia are taken from an air force decal sheet, while the registration numbers are self printed. Revell kits are almost without an exception beautiful kits and troublefree builds. This was the case here, too. 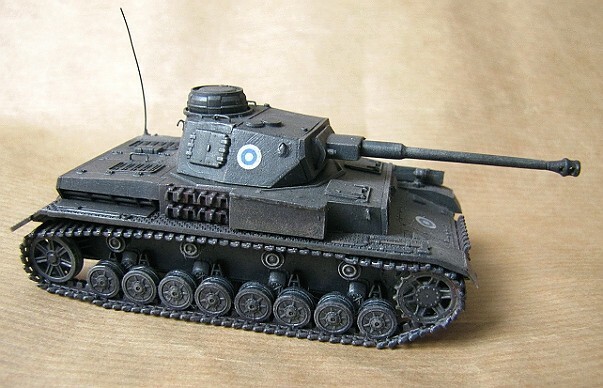 Most armor kits need more or less work to turn them Finnish, but with the panzer IV the builder has it easy. So if you want an exotic but readily executable subject, this might be one to try.